Charlie Brown had the Little Red-Haired Girl, Roger Rabbit had his Jessica Rabbit, and that leaves the rest of in our quest for our own life-altering ginger. I found mine, and he’s Dutch. 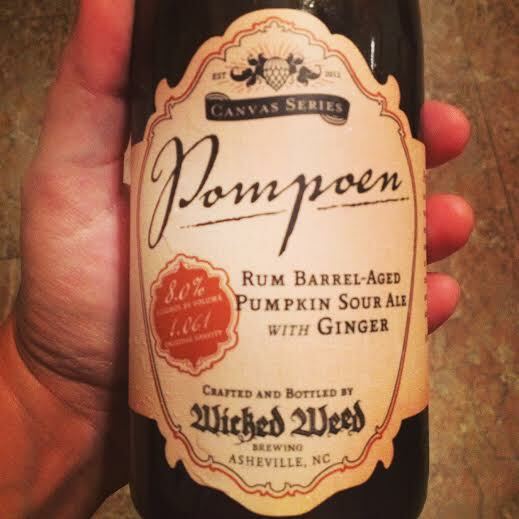 Pompoen, a sour red ale aged in rum barrels for over a year at the Funkatorium, is a trump card of a heartbreaker. Pouring a glowing scarlet, it releases a potent sour nose of Brett coupled with a smoky, charred ginger. The funk it delivers as promised happens like flash mob dance party at the onset, but warms and opens up into sweet, boozy notes of candied pumpkins, jaunty sugar cane from the rum barrel, and a playful heat from ginger. Further warming releases more of the rum, but never more than just a light sweater over that deep-souled funk.